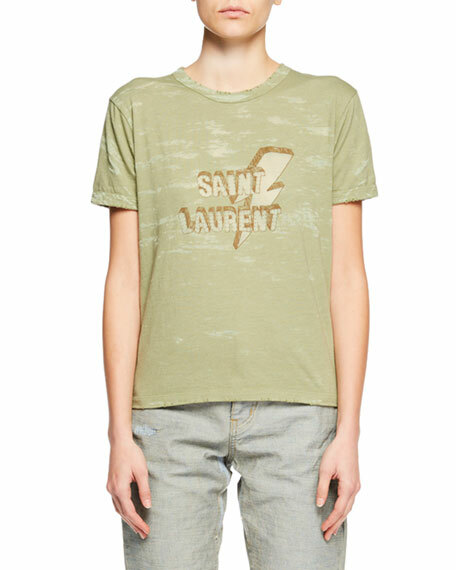 Saint Laurent distressed cotton T-shirt. Lightning bolt and logo across front. 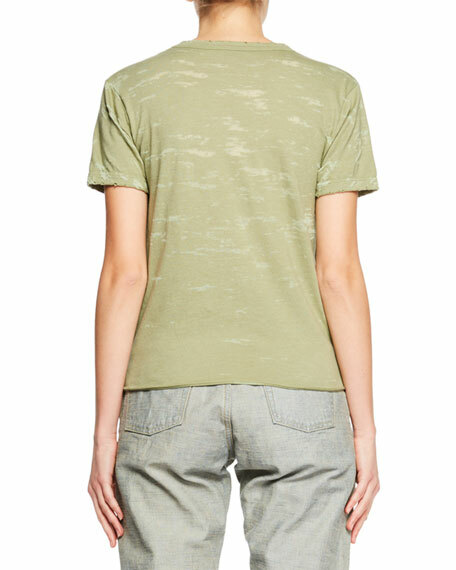 For in-store inquiries, use sku #2501034.